The EF-630 is designed to work with the latest TTL auto exposure systems of most well-known manufacturers’ digital SLR cameras, allowing auto TTL exposure control for bounce photography in conjunction with a diffuser or reflector. This ﬂash is equipped with a built-in catch light panel, which can create a sparkle in the eyes of the subject when the bounce ﬂash mode is activated. Slave Flash allows the flash to be fired away from the camera by the master unit. 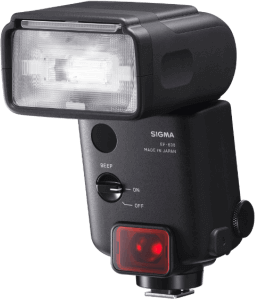 The Designated Slave function allows the photographer to use two or more EF-630 flash units simultaneously. It is possible to designate flashguns by using different channel settings. Since the EF-630 is equipped with this function, it can be used with all camera models. In the Normal Slave mode, it is also possible to use the camera’s built-in flash or another flash unit as the Master (Flash Exposure must be adjusted manually). AF may not function smoothly in dark conditions. 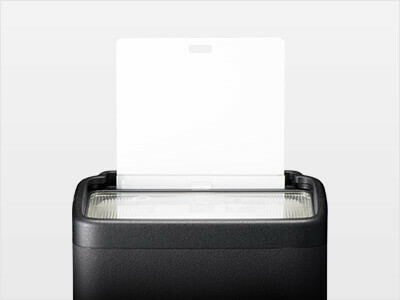 However, the AF assist light of the EF-630 allows control of AF even in situations where autofocusing is difficult. * AF Auxiliary Light is not available with some camera models. The flash power level of the EF-630 can be set manually from 1/1 to 1/128 to meet the photographer’s needs. To conserve battery life, the EF-630 will automatically turn off after a certain period of time of non-operation. Photographers can update the firmware via the newly developed optional FLASH USB DOCK FD-11 (sold separately). The firmware can be updated by attaching the EF-630 to the FD-11 and then connecting the FD-11, via a USB cable, to a personal computer on which the software SIGMA Optimization Pro Ver.1.3 has been installed. This accessory is used to dock EF-630 and update its firmware in the exclusive SIGMA Optimization Pro software. The dock can be connected to a personal computer via a USB cable. Illumination angle Automatically set in accordance with the focal length of the lens, in a range from 24mm to 200mm, motor powered control. Also covers the angle of a 17mm lens when used with the built-in Wide Panel. Dimensions 79.4mm×148.4mm×121.5mm / 3.13in. X 5.84in. X 4.78 in.